Oh today was a bit trickier. I am still visiting with family today. But I ran into the dining room with my Copics and got to coloring. I colored up another image from the PowerPoppy set. This image is so cute and I definitely want to use it on come birthday cards. 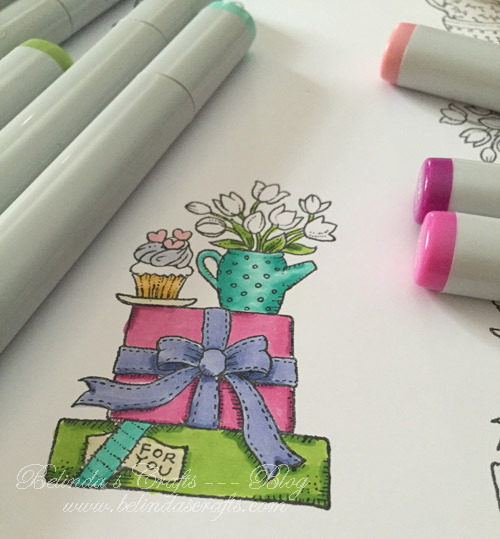 I like coloring presents. I used some go to color combos. I didn’t finish the image because we need to go soon. I am trying to decide if I want to make the flowers a yellow shade or violet. Suggestions welcome. 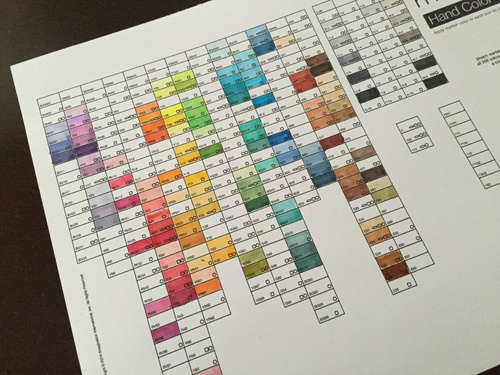 I also printed up the color chart for the Copics. I haven’t done this in a long time and have new colors that aren’t on the old chart. It looks like I have less markers now. Guess I need to go marker shopping!! Well I am so pleased that I made it to day 5 of this challenge. I always start strong and then drop off but I am determined to keep on. Thanks for taking the ride with me.